To find a big file concerning file size on disk is easy task if you know how to use the find, du and other command. The du command used to estimate file space usage on Linux system. The output of du passed on to the sort and head command using shell pipes. 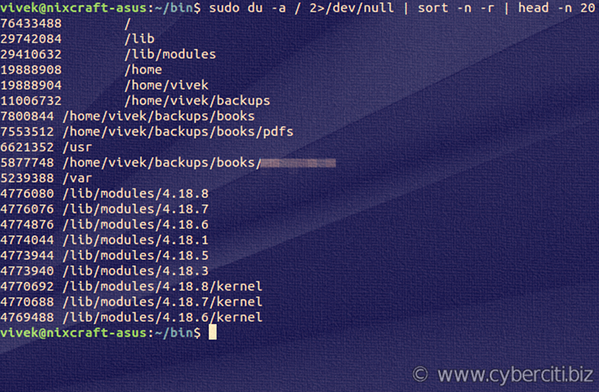 Let us see how to find largest file in Linux server using various commands.